You go to your .minecraft folder anddddd put it in saves, Simple. in level -4 i got the red card but i cant seem to exit the level even tho all the objectives are green except for the last one (access next level) am i missing something? I've been playing this game, whenever I get a chance. I am at the end of level 3. I love this game and I wish I had more time and energy to play it! I will finish it, that's for certain. 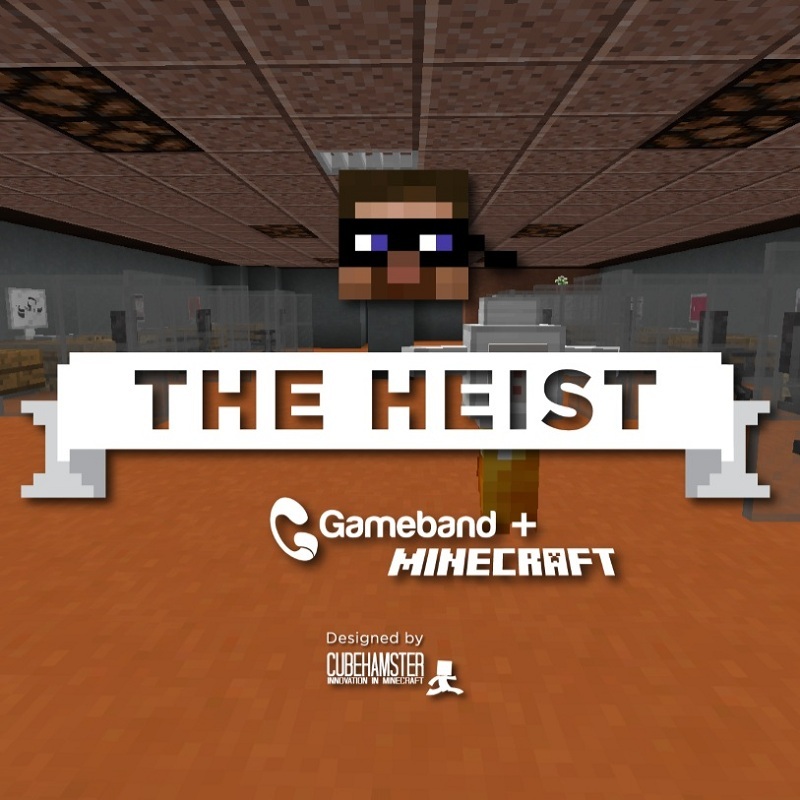 I love the challenge The Heist presents! I'm on level -1 and I got the yellow keycard, but it does nothing when I try to use the elevator, am I doing something wrong? You should have a card in your inventory called Use Keycard. It's the one that changes color. Seeing as you solved the issue can you tell me what the problem was? That might help other people as well. i can't run the map is there any way to make the map less havy for my pc?? Looks really cool. Is it made for singleplayer only? Yep, singleplayer only due to its mechanics. Wow this looked amazing in the vid. I am going to download it asap!